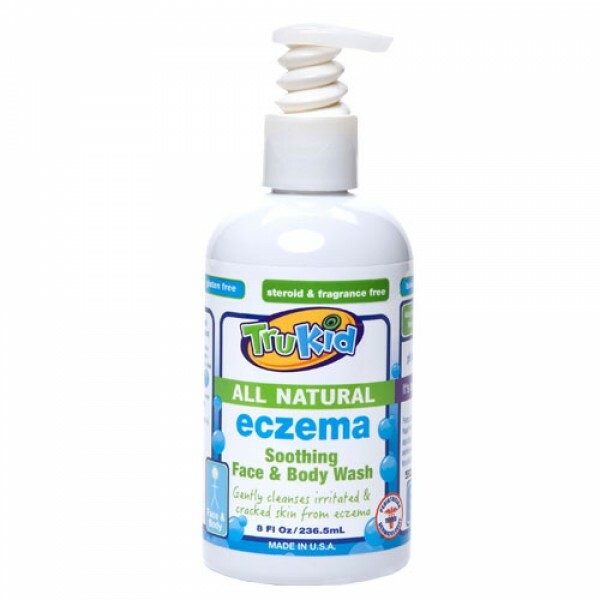 Trukid Eczema Face & Body Wash gently washes sensitive skin suffering from eczema while a high quality blend of aloe, calendula, chamomile and borage oil soothes and moisturises. 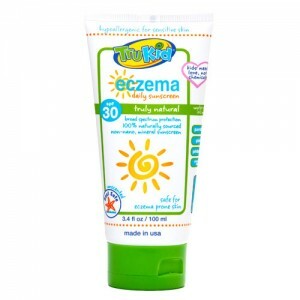 This truly natural cleanser effectively removes surface oil and dirt without stripping or drying eczema-prone skin. Comes in an 237ml BPA free bottle with a pump top for easy dispensing. Purified Water, Sodium Cocoyl Isethionate (Coconut), Oleyl Betaine (Palm), Aloe Barbadensis Leaf Juice (Aloe Vera), Calendula Extract, Chamomile Extract, Lavender Extract, Decyl Glucoside (Plant), Borage Oil, Panthenol (Pro-Vitamin B5), Citric Acid, Sodium Benzoate (Salt Of Benzoic Acid), Potassium Sorbate, Ethylhexylglycerin (Plant). 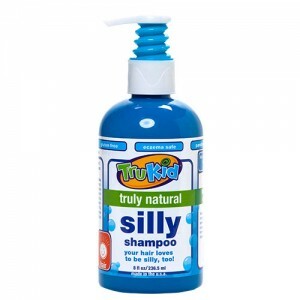 Pump a 10p sized portion of Trukid Eczema Soothing Face and Body Wash into your hand to gently wash face and body after a day of play! 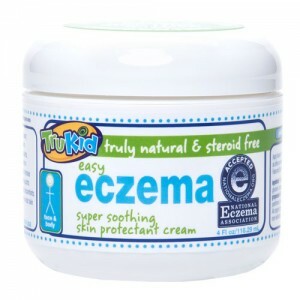 Cleanses sensitive or irritated and cracked skin from eczema. 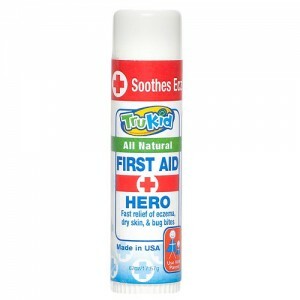 Follow with TruKid Easy Eczema Therapy Cream for a moisturizing barrier to ease skin discomforts and rashes.